EASA develops and maintains high-quality assessment tools to analyse the past and future environmental impact of aviation, as well as the costs and benefits of policy measures. EASA uses these tools for its Regulatory Impact Assessments (RIA), and to assess aviation sector environmental performance indicators published in the European Aviation Environmental Report. Some of these tools can be made available to third parties on an ad-hoc basis. 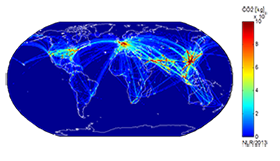 AERO is a tool that can examine the impacts of different policies intended to reduce international and domestic aviation greenhouse gas emissions. The model is able to assess the consequences of a wide range of policy measures aimed at reducing aviation emissions, including technological, operational and market-based measures. Such policy measures can affect the supply side costs of the industry, which may lead to airlines increasing prices to customers. The AERO forecasts the extent to which demand for air travel is reduced due to higher prices, and the changes in the structure of the global fleet with respect to fuel-efficient technology. The SysTem for AirPort noise Exposure Studies (STAPES) is a multi-airport noise model jointly developed by EASA, the European Commission and EUROCONTROL. 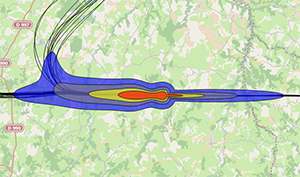 The tool is able to compute noise contours and the population inside those for a large number of airports and scenarios. Fleet coverage includes all major fixed-wing civil aircraft types. STAPES relies on a comprehensive database of flight movements at around 50 airports with the largest noise impact in Europe. The airport database is expanded and maintained on a regular basis to account for changes in local operations. The model can also be used as a standalone tool to produce noise maps and population counts at any airport. STAPES complies with the latest international guidance on aircraft noise modelling (Directive 2015/996, ECAC Doc 29 and ICAO Doc 9911). NORAH (Noise of Rotorcraft Assessed by Hemispheres) is a helicopter noise model jointly developed by EASA and the European Commission. The tool computes noise on the ground for a set of representative helicopters and flight conditions using source hemispheres derived from noise measurement campaigns and a sound propagation model. NORAH complements traditional fixed-wing aircraft models with a methodology better adapted to noise sources with a non-symmetric directivity such as rotorcraft. 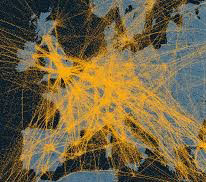 The Aircraft Assignment Tool (AAT) is a fleet and operations forecasting model jointly developed by EASA, the European Commission and EUROCONTROL. The tool converts a passenger demand forecast into detailed operations by aircraft type and airport pair for a given future year and scenario, taking into account aircraft retirement and the introduction of new aircraft into the fleet. AAT can be used to predict future aircraft deliveries and operations at the European or global level.